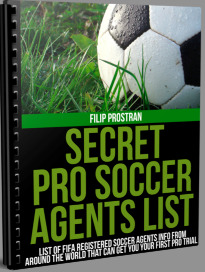 Finally got that Professional Soccer Tryout? You've been waiting a long time for this, and now here's your chance. No pressure just confidence, you've got this. There are some important things to remember when trying to figure out how to play when you get there. Should I blow players up in tackles? Should I try and be Messi and dribble everyone every time I see the ball? Maybe I should just try to lay low and not make any mistakes? Will I Be the Only Player Trying Out For the Team? Most likely you will not be alone. Every professional soccer tryout I’ve ever been on there has been at least one or two other players on trial at the same time. Whether they’re from Europe, Asia, South America or anywhere else teams are always looking to beef up their squad. Especially when there is no risk on their side. Not only are you competing against the current players but you’re also being directly compared to the other trialists there. Only the strong survive, I’ve been on trials where there have been 15 other trialists and every day there are less and less of them. That’s the cruel world of trials, but it’s also a great feeling when players are packing up their bags and you’re staying on. The first team I signed for there were 7 other players trying out and I was the only one who got signed, talk about a confidence builder. But I’ve also been on the side where players are sticking around and I’m packing my bags, whichever side you end up on take something from the experience. It’s funny how small the world is, sometimes a fellow trialists and yourself will end up crossing paths years down the line and share a laugh or two about your past trial. Should I Look to Be Friends with All the Players While on Trial? I went to trials with one simple philosophy, make the team first, then make friends. You’re not there for the social experience; you’re there to make a team. During sprints or workouts don’t hold back and take it easy so you don’t make the other players look bad. Your job is to make the coaches think that they can’t let you go. Out sprint, out run and outwork everybody who dares step on the same pitch as you, if you don’t, some other trialist will. Advice, things to remember, tools and experiences to get you to perform at your best when at that professional soccer tryout below. I've experienced and felt everything you're about to go through while on pro trials. The agony, success, confusion, frustration and joy of it all. 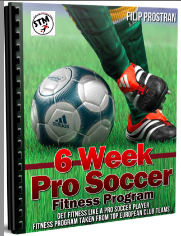 You finally got your shot, your professional soccer tryout is just around the corner and you've arrived at the club and now all that stands between you and everything you've wanted is a week or two of good soccer. Nervous yet? You shouldn't be. Common thoughts at this stage are nerves, fear of failure and over analyzing every touch and movement you'll have at the trial. Take a deep breath, you have nothing to worry about, just remember these few things and you'll be able to stay mentally strong. That's all a trial is, it's a test of how tough mentally you are because all the physical work you've already prepared for your entire life. -You're there for a reason, no fluke or shot in the dark, you've been chosen for this shot because somebody saw something special in you. -You BELONG! The pro's you'll play against have been playing just like you have their entire lives, it's that same game you know and love. Just play. -You bring something special to the table, there's something you do better than everybody else, think of all your ex-teammates that would die to be in your shoes and haven't achieved what you have, you stand out among the rest. -Play intense but relaxed. You want to be focused but not all wound up to the point where you feel like your every move is so crucial. -Don't think the Coach is constantly watching you, he's got an entire team to worry about, a season, a wife and kids at home and so many other things running through his mind so don't think he's looking at you every time you touch the ball to the point where you feel you have to meg 10 players and score on a bike to impress him, just relax and do what comes naturally. -Even if the trial doesn't work out the way you planned, consider it as a learning moment and one small step in the path to where you want to get to. Every pro has felt the feeling of not being good enough or being let go from a trial or team. Take it as experience that will make you stronger for what's waiting for you ahead, fuel for the fire for the next high level professional soccer tryout. Mental preparation is outlined more thoroughly on the Mental Toughness page of the site so be sure to check it out for tips to keep you mentally strong before, during and after a professional soccer tryout.